Tattslotto is a national Saturday night lottery draw run by New South Wales Lotteries. Along with the Monday and Wednesday Lotto, Tattslotto is available in all states and is run under alternate names: Tattslotto in Victoria, Tasmania, The ACT and the Northern Territory; Gold Lotto in Queensland; X Lotto in South Australia; and Lotto or Saturday Lotto in NSW and Western Australia. We explain more about this popular lottery system and where you can buy tickets online. Head to www.OzLotteries.com, register an account for free, grab one free game on us, and choose from a wide selection of gameplay options to suit your needs. Sign up for daily lotto results sent to your email and earn and redeem lottery points for future tickets. The Tattslotto was the first lottery draw of its kind in Victoria, where Tattersall’s is based. Interestingly, the rights to a weekly lottery was originally granted to Tattersall’s by the Victorian government, with the goal to raise additional revenue to support the health system. The first ever Tattslotto draw had a first division prize of $50,000 AUD and was drawn in June 1972. The largest jackpot ever won in a Saturday Lotto was $47.9 million in April 2008. The first games of Tattslotto were originally based on European style lotteries, where six out of 40 numbers (along with one supplementary number) were selected in one standard game. The numbers were mechanically drawn weekly from a transparent barrel, televised live-to-air and supervised by a Tattersall’s official and two government representatives. In July 1985 on the 413th draw, six numbers out of 45 and an additional supplementary number were introduced, which ultimately decreased the chances of winning the top prize. Division 6 was introduced in January 2011, and this is the current standard format played today. The original ticket method of a carbon copy became computerised and several new ticket types were introduced such as QuickPicks and System Entries. Tattslotto guarantees a First Division prize of $4 million each week, which is often shared between multiple winners. There are also several $20 million and $30 million ‘Superdraws’ which are drawn approximately seven times a year. If there is no Division 1 winner in Tattslotto, the game jackpots to $8 million, but this a rare occurrence. Drawn every Saturday night at 8:45PM on Channel 9, results are also available from approximately 9PM AEST on the evening of the draw on the official TattsLotto website, Tatts.com. Players can purchase tickets online at OzLotteries.com or at local retailers before the draw closes at 6:30PM AEST on the same night. Each standard ticket starts at $0.60 cents and covers one standard game, with a minimum of two standard games needed to be purchased in order to play. Eight balls are randomly selected from a wheel of 45 balls numbered 1-45. The winning numbers are the first six numbers drawn and supplementary numbers (supps) are the last two numbers selected. The supps are used to determine lower prizes in Divisions 2, 5 and 6. To win a Division 1 jackpot prize, we need to match our own six numbers in a single game with the six winning numbers from the draw. To win smaller prizes, you need to hit at least four numbers. What’s The Probability Of Winning A Single Game? In Tattslotto, players can choose a variety of ticket options to play. Most are similar to other games, such as Oz Lotto, but there are additional entry options to experiment with if you’re feeling extra lucky. Tattslotto Marked Coupons works the same way as other lottery games: mark your favourite six numbers in each game panel and buy as many tickets as desired to play more standard games. These tickets cover a minimum of one standard game to a maximum of 18. 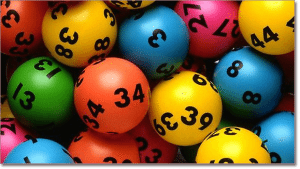 Tattslotto QuickPick Tickets have numbers randomly generated by New South Wales Lotteries and are the ideal option for players who have no particular affinity with any fixed set of numbers and are simply keen to play. Tattslotto Group Play/Syndicates grant us the option to cover more numbers by sharing the cost of tickets between members of a group, and if a win is obtained, the total winnings are divided equally among those members. This is the ideal entry option for players looking to play with friends or co-workers and cover more ground to increase chances. Tattslotto System Entries also increase our potential win big as we are playing with more numbers per game. We can purchase the equivalent System Entry and mark down anywhere from seven to 20 numbers in each game panel, rather than the standard six numbers. Tattslotto Pick Entries is an option which guarantees us one or two out of the six numbers required to win Division 1; all we have to do is mark down the remaining numbers. There are two Pick Entry tickets: Pick 4 and Pick 5, with the former granting one winning number and the latter granting two winning numbers. Pick Entries can be used with either marked coupons or QuickPicks. Tattslotto Super Combo entries grants you the ability to enter more number combinations than a standard game entry. However, unlike a System Entry, it does not cover all possible number combinations of a selected set of numbers. 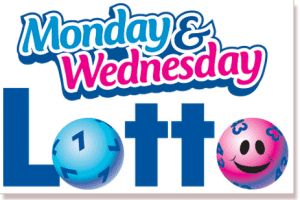 Monday & Wednesday Lotto is run every Monday and Wednesday night in all states except for Queensland. First introduced on November 5, 1979 and conducted by New South Wales Lotteries, it was the initially a NSW-only lotto game and the only lottery in the state until Oz Lotto was introduced in 1994. NSW was the last state to join the Saturday Lotto in the year 2000. This lotto is known in NSW as ‘The Big One’ due to its current logo featuring a large red ‘1’ Lotto ball, and as ‘X Lotto’ in South Australia. The game is also run by New South Wales Lotteries in South Australia and Western Australia after a series of interstate expansions on May 1, 2006 which replaced SA Lotto. From October 13, 2008 Tattersall’s began selling Monday and Wednesday Lotto to the ACT, NT, Tasmania and Victoria. The one state which does not participate, Queensland, instead plays Wednesday Gold Lotto. Monday & Wednesday Lotto has been virtually identical to Tattslotto/Saturday Lotto since April 2004. Like Tattslotto, six winning numbers and two supplementary numbers are drawn from 45 balls, with identical winning divisions and a slightly cheaper ticket entry cost of $0.50 cents per game plus agent’s commission. Both Monday and Wednesday night draws guarantee a first division prize of $1 million for each winner, with up to four winners total (previously there were only two). There are also several $5 million ‘Superdraws’ throughout the year. Looking to play Tattslotto online? You can sign-up and play at www.Ozlotteries.com and enjoy the chance of winning a huge jackpot all from the comfort of your own home.